When someone coined the phrase Stick-in-the-mud he most certainly was thinking of me. Stuck to my bed is probably much more appropriate. It takes tonnes of explosive to blast me out of my house. Surprisingly, a couple of sets of friends have set that fire under my seat and I am off till September 2 to a couple of hill stations in quick succession. My stick-in-the-muddiness also applies to other habits. I have stoutly refused to move beyond desktops. Owing to the extraordinary deftness of my movements, the touch pad/screen and I get along with each other as long as we give each other a wide berth. This, in effect, ensures that I also give a wide berth to laptops, tabs and the like. As for using a smart-phone, it seems to require far more smartness on my part than I am able to deliver - not to mention that my eyes are too sharp to see anything legible on those screens. All of these is intended to give you the joyous news that I shall not trouble you people with my posts for some time to come. (Alas, it also means that I cannot take joy in reading your posts as well.) Till September 2 then you can take a break. Throw a party, go around with a goofy smile on your face, hug your loved ones or do whatever you are moved to do when you are in the throes of ecstasy. Happiness in life is short-lived and so, unless a truck mistakes me for a stretch of tar, I shall be back! At the very outset let me make it clear that if you are eagerly looking forward to a diatribe on how cinema and serials promote vulgarity and violence, I must reluctantly bid goodbye to you and wish you all the best in finding such pleasant pastures. My interests lie in a totally different area of influence and I talk of the influences on my growing years – so the movie concepts I refer to may be dated. Let me first get rid of one of my other pet ideas before I get to the pith of my issue. The villain in any film has such loyal henchmen that even when they find their boss on the verge of ruin they are willing to put up their hands and be counted – by way of holding a gun to the hero’s screaming wife/girlfriend/mother and seeking the hero’s surrender. The hero, however, has sycophants who seem eagerly poised to turn on him given the slightest excuse – a trumped-up charge or a night with his girl-friend (in absolute chastity, believe me!) and the entire neighborhood pounces on him with almost unholy glee. Cinema, therefore, taught me that if you want loyalty from your companions, it does not pay to be good. The villain hatches diabolic plots and chortles in glee as they succeed in their nefarious intent. The hero does his brainstorming with his friends, hatches an elaborate stratagem to breach the defense of the villain, disguises himself in a moustache (and wig, if the budget permits) and does an elaborate song and dance in the villain’s stronghold. After having enjoyed the hero’s (and heroine’s, in later days) performance, the villain casually unmasks the hero. After that, the hero has to rely upon his bludgeoning skills to get himself out of the mess. With great reluctance one has to admit that, even if the hero’s dai-kilo-ki-haath wins the battle in the end, the villain leaves the hero in the dust when it comes to the brains department. I do not know from where movie-makers got this idea that an IQ in three digits and goodness are mutually exclusive characteristics. Maybe they have always been unable to distinguish between goodness and naiveté. To be fair, however, to Baazigar one needs saying that the villain shows a similar lack of brains in signing a general power of attorney in the hero’s favor later. Or maybe a long non-villainous life had stultified his brains! Is it then surprising that when a person finds that his IQ is in excess of 100 he gives up all hope of becoming a good person? Can you really blame even those with IQs less than 100 striving to hide that fact by acting bad? After all, how can you blame anybody for preferring to be feared for being bad rather than to be held in contempt for being foolish? We have always faced the threat of eviction from our land. Why this should have been so we still do not know though the threat has been in existence for nearly thirty years. The land was unpromising, prone to frequent inundations and earthquakes. Yet, there was someone who wanted us out of this place. We are a very tenacious tribe. Other tribes had periodically settled adjacent to us but had been unable to stay rooted. Our tribe has proudly withstood every attempt at uprooting us and has managed to retain hold of the land that we had claimed long ago. There were some among us who said that the inundations and the seismic activity were also part of the attempts to evict us. There are always such madcap conspiracy theorists in any tribe. If we were to believe them, we would have to believe that the Cosmic All was against us, for who else has the ability to flood and convulse the land? Yet, it is true that the attempts at evicting us were always made when the seismic activity was strongest and the land was practically submerged under water. It only goes to show how evil the beings were that acted for their gain against beings in distress. There were some who said that our sins were increasing and, thus, the Cosmic All was angry with us, though how beings rooted to their land could sin beats me. It is true that the seismic activity had increased radically in the recent past so much so the weaker members of our tribe had been evicted. The scientifically minded among us said that the world was passing through a tunnel periodically and that was causing the increased seismic activity. Maybe the latter were correct since it grew very dark at these times but, if so, I prefer to believe that the Cosmic All was testing us. The historically-minded among us also said that the water that inundated us was cleaner earlier and that it was getting more and more poisoned. They were probably right since I could myself remember the times when my roots were unshaken in the periods of inundation. Nowadays, I find my hold terribly weakened and it takes all my strength of will to hold on to my land. “Soak no more”, said the Cosmic voice and I rejoiced. We had been tested and we had come through it all. I had periodically heard the cosmic voice say “Soak” just before the land was inundated. So, now the Cosmic All had relented and we would enter His Paradise. When the two giant beings with five tentacles each came towards me, as they usually did, the land had not been inundated and the beings let go without even a single attempt at evicting me. The land became dark. What was this? The land was getting inundated! Oh! Cosmic All! Was that declaration a lie? Small colorful beings settled in on me. The seismic activity started. Why was I vibrating like this? My hold is getting too weak and I am losing consciousness. It IS true, then that the Cosmic All had no liking for us. You cannot evict me! I have my tenancy rights! No! No! Noooooooooo! Two stacks of letters lay in front of her. “Love Marriage” said one and “Arranged Marriage” said the other. After years of writing the “Ask Grandma” column, it seemed as though all love marriages happened without parental guidance and all arranged marriages got done without inputs from the bride and bridegroom. But then, it was precisely in such cases that the preponderance of problems arose. Where the love marriage happened either against parental wishes or with parents totally – and, perhaps, foolishly – in awe of their progeny’s judgment, the probability of problems seemed to be high. As, indeed, was the case when parents either totally ignored the possibility of their progeny having their own ideas for a spouse or where parental judgment was considered infallible, life turned out to be not so rosy either. Today she found herself in an awfully cantankerous mood – not the best of times for her to deal sympathetically with other people’s problems. Work was work, however, and took no cognizance of her moods. She sighed with frustration and turned first to one stack. Tell me what to do, pleaseeee! You have made the mistake of not realizing that the human peacock can preen with borrowed feathers. It is the nature of the male animal to attract the female of his choice by seeming to be all that she wants him to be. Had you exercised your judgment, you would have found that the feathers were borrowed and not his own. If your love was also based on other things than these and if he is satisfactory otherwise, it is best to reconcile yourself to living with the ‘slob’ as you call him. If you stopped pestering him about it maybe in time you could get him to groom himself better and even come with you to the occasional party or two. I fell in love with this madcap bike riding boy and married him. The problem is that he is like a little boy and I spend the entire day cleaning up after him. When he is not messing up the house he is messing with his bike – so much so I do not even know if he remembers that he has a wife in the house. Every time I try to talk to him seriously he makes a joke of it. I don’t know if I can stand it any more to live with someone so totally irresponsible. You have failed to understand that when you want to go jogging you do not wear stiletto heels. You fell in love for qualities that make for an interesting companion but can be a recipe for disaster in a husband particularly for someone of your inclinations. It seems to me that you are the sort of person who likes an orderly house and takes her responsibilities seriously. A happy-go-lucky person like your husband was probably not the best of choices for you. Having said that, you could still be happy if you can learn to enjoy his pursuits with him; lighten up a bit and ask your husband for help rather than shoving it down his throat as a responsibility. It could well be true that for the rest of your life you may have to make all the responsible decisions and you will have to reconcile yourself to the idea. More letters with similar issues!! She was irritated. Why will these young people marry based on how a person looks or what he does without a single thought to what sort of a person he is? They seemed to be people who bought a house for the view and discovered only after moving in that there was no running water, electricity or convenient shopping facilities! She smiled to discover herself using the idioms of her architect husband. A huge chunk of the letters was related to problems with in-laws. She wrote about them on a case-by-case basis though, it seemed to her, that a lot of her complainants seemed to be mildly taken aback by the fact that a family came as an enclosure along with their lovers. Today, thankfully, there had been no letters about Mama’s little boys. She had always been skeptic about such letters. More often than not, it was a case of the daughter-in-law being surprised that her husband actually loved his mother enough not to take his wife’s side every time she had an argument with her mother-in-law or the son passing off his own desires as dear old mom’s wishes. There were some cases of the termagant mother ruling the household with a hand of iron but not as often as TV seemed to project. She was glad, too, that she did not need to deal with the girls married to wife-beaters, who continued to live with him because they were afraid of facing an unsympathetic I-told-you-so from their parents, or the ones that are abandoned by their 'lovers'. Thank God for small mercies! Letters relating to women having married a poor man - and finding that poverty was not as genteel as the movies would show you and love was not a sufficient substitute for bread – had dried up. Maybe the girls of today were more pragmatic about choosing their lovers at least insofar as financial status went. More to the point, they probably knew that what they would get from her was an earful of advice when what they really needed was a pocketful of money. I had an arranged marriage. My parents were very satisfied with the alliance. My husband and his family want a child soon and they do not care that my career prospects shall get affected if I opted for one at this time. No amount of argument is getting the point through to them. It seems that you have fallen into the usual trap of thinking that changing your diapers equipped your parents with a complete insight into your soul. These issues should have been discussed before marriage. Parents may know what is necessary to run a family but they cannot be expected to know your every single taste and every single desire. You should either have made it clear to them as to what you looked for in your future rather than giving a dutiful you-know-best answer! Now that you are married, I would suggest that you point out the advantages to your husband’s family of your advancing your career rather than focusing on what you want. People tend to be reasonable normally if you do not take a confrontational posture. If, however, they remain adamant you can always adopt ways of not conceiving including telling them outright that you refuse to do so. Ah! The naiveté of the young dutiful daughter! As though her parents were the avatars of Solomon and gifted with his judgment! She looked at her reply to see if she had made it too tart. It did seem a bit harsh but she decided to leave it as it was. My marriage was arranged and my husband’s family is also quite nice. The problem is that my husband is dull as ditch-water. He seems to know nothing other than his office, home and sleep. There is hardly anything to talk about with him. Life has become such a bore! What do I do to make life more interesting? You can trust your parents to take care of your security provided you trust their judgment but you cannot depend on them to make life interesting for you. Parents may ensure security; it is for you to ensure companionship. It seems like you never interacted with your husband before marriage, which you ought to have done to check for compatibility. Your problem, however, does not appear very serious since your husband’s family seems congenial. See if you can get your husband to take part in the activities that interest you. More often than not, it is lack of imagination and not lack of interest that keeps such men in the rut. If he is not interested find a means to engage yourself interestingly. Thank God it was a light day. No issues of really bad people or horrid situations like dowry harassment or cheating spouses – only the usual mundane problems of the everyday world. Only issues of parents having been unable or unwilling to take into account the specific tastes of their children just as the lovers had failed to take into account the fact that the qualities that made a man a good companion did not necessarily suffice to qualify him as a good husband. Do you think that Arranged Marriage is better or Love marriage is better? She had to laugh! As though it mattered whether the child introduced the future spouse to the parents or the parents introduced the future spouse to the child – except of course that arranged marriage offered the child the convenience of blaming her parents for her problems! Too much importance was being attached to the ‘going weak in the knees’ feeling and not enough attention paid to the fact that the rosy dreams of romantic love actually built unrealistic expectations! If you ignored romantic love, there was not much difference between Love marriage and Arranged Marriage as long as both parents and children involved themselves in the decision. The love that grew old together may spring out of romantic love as it happened with her son or could grow out of living together companionably as had happened with her. You seem to think that a good life comes out of the way you get to meet your spouse. What makes a marriage good or bad is the way you live after marriage. Whether or not you love the person, you should LIKE him. It means that, apart from going weak in the knees and finding your heart melting like an icicle in a furnace, you should be compatible with him as well as care for him and he should care for you as well. By caring I mean that both of you should not be thinking only of how happy the other will make you but should also be able to take pleasure in making the other happy or in soothing the other’s hurt. If the care is all on your side be prepared to be a doormat. After marriage, you should be willing to Compromise. Things are bound to be different from when you were not married and, thus, you may have to give up some things or do some new things – both of which may displease you. If you truly cared for the other, only such compromises should become necessary where the pleasure you derive from making your spouse happy should outweigh the displeasure of the compromise. The most important thing is Communication. Any problem that you have must be clearly communicated. “You do not love me” does not tell the man that you are hurt about the fact that he forgot your birthday or that you hate his ogling that bimbo across the street. If you find it difficult to openly express your vulnerability, you are either married to the wrong person or you are unwilling to risk hurt to your ego even to attempt a loving married life. To marry someone when you are not open to communicating is selfish and to marry someone who does not communicate openly is martyrdom. If you can truly set your ego aside and can compromise and communicate with your spouse, you will find that your married life can be far richer than you thought it could be. If your spouse repays your trust with disdain you will at least know that you are better off without the marriage and act accordingly. Life is far simpler than you think. All it requires is sufficient courage. It is not that I have not written humor in my blog - even humor stories. 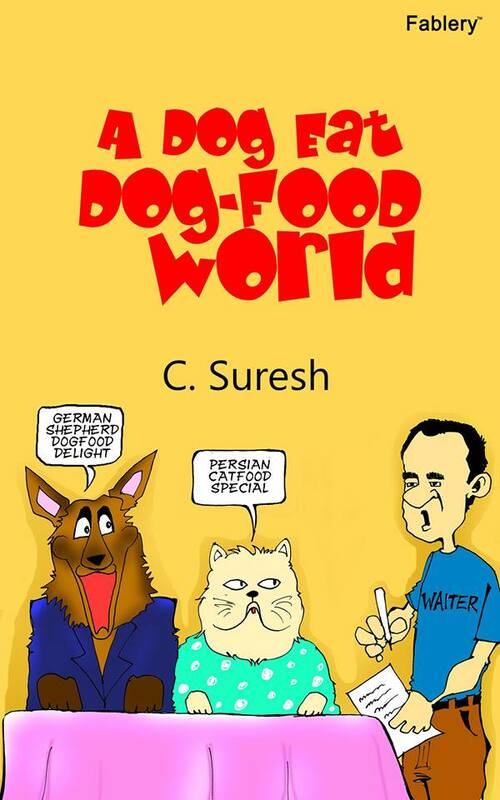 The ones that I considered the best in humor fiction-writing by me like Romance on a Diet and Desi Wild Hogs practically sank without a trace. 'A Season of Hope, A season of Despair', however, won for me a consolation prize in the Lakme contest. This is the closest I got to getting any recognition for a humor post by me, though it was more of a zany post than a humor post. I have been attempting the Blogaton four times in a row. My first entry 'Once Again', was again a humor post and got nowhere. My second entry 'Blank Pages', was the first of my so-called emotional posts and got nowhere too! My third entry was 'Two Minutes', which was a humorous essay and found some favor with the readers but did not win a thing. My fourth entry in the Blogaton was "Yesterdays and Tomorrows', which won me gold in the latest Blogaton a couple of days back. Today I just checked up on Writeup Cafe and found that my first entry in their contests 'The Gates of Hell' has been declared the winner! In a sea of my humor posts, I find that I really got nowhere better than a consolation prize. Two out of three of my emotional posts have plundered gold! Seems to me like I have misjudged my abilities in humor! I had always doubted my capabilities in writing anything other than humor and I find that my maiden emotional attempts have turned out to be extremely rewarding. How true it is that no person really knows himself! There I was, nattily clad in my rumpled T-shirt and tracks, arriving at The Capitol to meet bloggers who were only known to me by their words. Fifteen minutes early and, so, decided to walk around the place before entering the venue. “Books, Books, Books” proclaimed a banner and I walked enthusiastically to that place only to find that it was the “Indian Institute of Engineers”. Having had my fill of Thermodynamics and Fluid Mechanics in my quest for a degree in the thankfully long-gone past, I beat a hasty retreat back to the venue. As I was entering the venue, there was this serious girl getting off an auto. How was I to know that this girl, without even a smile on her face at that time, was Princess Poo of the smileys? It was too much to expect, of course, that she would come festooned in smileys but such is the expectation that meeting people only in forums and Inditalk creates! That recognition came later, of course, so I walked into the venue without accosting her. I had met only The Fool earlier and he was in a will-I-won’t-I mood regarding coming to the meet. So I expected to be a total stranger to most there except, perhaps, Leo if he could spare some time for me. The moment I entered the room, Karthik accosted me and we exchanged names. Something about the scintillating intelligence in my face must have caused him to think that I had strayed in there by mistake! So, he checked whether I was indeed a Indiblogger before I went on the register. I had hardly registered and entered when Vineet Rajan came over and gave me Zephyr’s regards. A very heart-warming reception! Ever since I joined school and found out that being in the front benches did not allow you the luxury of catching up on your sleep, I have been a back-bencher. As usual, I seated myself in one of the back rows and was watching the screen that was informing us about the bloggers who were entering the venue. Imagine my surprise to see Pooja Pradeep being represented there and this sedate girl walking in – again with not a smile in evidence! I was still not sure, so I did not accost her then either. Anoop set the ball rolling with the bloggers introducing themselves. I may and do talk nineteen to a dozen normally but hand me a mike and the words freeze in my throat. (Now, how did that slip out? If I see my family and friends carrying a conspicuous mike in hand, I’ll know that they read my blog!) What with that Damocles’ sword hanging over my head and with most of the bloggers articulately introducing themselves, I was in a blue funk for that period. Anoop was interspersing the introductions with questions and cool rewards for the correct answers. What with six months of washing powder, bean bags and an attractive gift hamper doing the rounds, I sorely missed questions about the radio and transistor of my times. Why, they did not even ask about 5.25” and 3.5” floppies!! Now what is all this Facebook, Twitter, Wordpress and all? Next time, I hope Anoop has strategic questions about walking sticks and reading glasses to encourage us old fogies! Games time, then! Considering that all of the bloggers joined one team or the other and donning their team T-Shirts, I decided to fill in the sorely needed role of a spectator. It was great fun to watch them all having fun with their games till about the time when the Orange team won DVD players for each member of their team. Would you believe it, there was no single Orange T-shirt lying around unclaimed so that I could join in that queue for prizes? Tea Time! I would rather not list out the items now – it would make me ravenous again. Suffice to say that I can resist everything except temptation – as Oscar Wilde puts it – and I gorged that day. Now was the time to pay our dues to Surf Excel! I must say that the HUL chap made the process as painless as possible and, when he threw in yet another DVD player into the game it was positively interesting. The question was about vibrating molecules that reside quiescently in Surf and I was having fun listening to the various answers till The Fool made it awkward for me by remembering that I purported to be a Chemical Engineer. What I learnt those days is something that is best kept a secret between my college, my maker and me!! I wriggled out of it by saying that it was nearly 30 years back and Surf had no vibrating molecules then! When Anoop asked whether we enjoyed the meet, a large group yelled “NO!” and when he asked us why, we said we had not got those goodies. I am sure that, like me, all the others also knew that it was in jest and that our enjoyment was so apparent that we were sure that we would not be taken seriously. Indeed, it was much fun later seeing the guys with bean-bags, DVD players and half a year’s supply of detergent staggering around trying to balance them all as they made their way to their vehicles! All good things come to an end. Walking out of the meet with a T-shirt and a Surf Excelmatic pack, I found Santosh going my way and he dropped me back quite close to my residence. All in all it was a fun day and left me hungering for more. Businessmen seem incapable of remaining content with what they have.They have to keep expanding their business – maybe to keep pace with their expanding waistlines. Initially, they used to select projects somewhat like this “Hey! I like the smell of cotton. Let us get into textiles.” For some quaint reason, this scientific approach to selecting projects did not find favor with the academicians. So, they developed something called project appraisal criteria. You know how it is. If you give a couple of academicians a line segment AB they can argue at length, in symposia and articles, about whether it starts at A and ends in B or the other way round. So, before you could say NPV (or IRR, for I am broadminded and do not differentiate between swear words), a plethora of models had arrived on the scene to constitute a new subject – Project Appraisal. If receivables are not sufficient, the Capo(Loansharking) sends them out to get a bank loan. Any bank is only too willing to give an indefinite zero interest term loan to Luigi and Carlos once they display their soft-wear and hardware – stocking masks and guns. Again the working capital problem disappears. You will agree that this is a simple straightforward way of doing business. Naturally, the busybodies are dead against it as they are against anything being simple. First they create something called legal systems to get in the way of honest businessmen. Having created the problem they then put forth the need to understand working capital management as well! Someone must have thought that it would appease people sweltering in power cuts to know exactly why there are power cuts. Ergo – Energy management! In a bid to pacify irate pedestrians as well as grid-locked vehicle-users, they thought it best to educate them about how little the city designers cared for their needs. So, Transport management! Innumerable such instances can be quoted to prove the pernicious influence of busybodies. With that illuminating thought, I bid you Au Revoir! If this society has come to such a sad pass, it is entirely thanks to busybodies. What would a normal person do if an apple fell on his head? He would probably rub the sore spot, curse fluently and, then, munch the apple in peace. Did Newton do that? No! He had to think about why the apple fell down instead of floating about in the air and, thus, plague all future generations of school-children, who couldn’t care less about whether of not gravitation exists. There are such busybodies in every field. Sane people used to toss a coin to decide who was going to pay for the next drink or whether the girl he was infatuated with loved him or not or whether to jump off the building or lie down on the railway tracks. Does this satisfy the busybodies? You are right, of course it does not. They keep tossing a coin till it wears out in order to prove that this coin would fall about fifty percent of the time with heads up and the other fifty percent with tails up. One only wishes that the coin they chose was the Sholay one, with heads on both sides! Had it been we would not have to understand the habits and lifestyle of this mysterious animal called probabilities! If only the International symposium of unsuccessful artists had not met, life would have been much less miserable. Having learnt that they cannot go beyond drawing lines and curves they would probably have given up art as a bad job and gone into other lines (or curves) of work. Some may have spent a little time in writing articles in excruciating detail about how useless art was for the rest of humanity. It is, as usual, the busybodies who set out to prove that lines and curves were of seminal importance to humanity. (Ah! Well! All men know about the curves that are of seminal importance to them but they were not talking of that!). One chap suddenly pops up with a rush of excitement and says, “Eureka! Supply and Demand curves!” The others chorus back, ‘The what and what curves?” He sets about explaining himself and before you could say ‘uncle’ (or ‘aunt’! I do not want the women on my neck! ), Economics was born. Thus it is you now have a set of people who make their living by telling you why things were bad yesterday or why their predictions were prevented from coming true by various external and extenuating circumstances (Maybe the ‘Foreign Hand’, which was such a favorite of our yester-year politicos, was borrowed from the economists!). They also have a penchant for ‘On the one hand and on the other hand’ and bemoan the lack of more hands so that they could create more options. Thank God, economists are not Ravans – we would be going dizzy listening to them juggling twenty possibilities! Where was I? Ah! Busybodies! You know even Cocktail parties can prove to be really dangerous. Initially, it starts out with a few businessmen unwinding with a couple of drinks. One guy says languidly, “My Company made a whopping profit” with a smug smile on his face. Another businessman, not to be upstaged, says “Well! Mine made a bigger profit!” To which the first one says, “Says you!” in un-parliamentary and rude language. The affected businessman could have merely spent the day in thinking of the-twenty-different-retorts-that-I-could-have-used-but-did-not. Instead, he calls up a subordinate and says, “Look! Figure out a way to prove that we made a better profit than that dirty so-and-so!” The subordinate gets to work and look at what you have – Accounting, especially the creative version, finance and associated pains-in-the-you-know-where. Now you know the supreme importance of accountancy. Without it what would happen to the bragging rights of the top management at cocktail parties – particularly the ones that go by the name of Board Meetings, Annual General Meetings and the like. Let us have the rest of it later! Disclaimer : Way back in history, in 1988-89, I sent this story to Femina and they were kind enough to publish it. Cupid moves in mysterious ways his wonders to perform. His idea of a romantic setting for me was a busy road. There was this lovely girl in white walking towards me and my heart started pole-vaulting. I brushed my unruly hair back, pulled my shirt into shape and walked in as dashing a manner as possible thereby managing to fall flat on my face. It is rather difficult to appear dashing and debonair when you are tripping over your shoelaces and entering into tête-à-tête conversations with the pavement. It is true that I wanted to lay my heart at her feet but Providence seemed to have taken me too literally. It was ever thus. My ability to enter into the most promising situations and come out with egg on my face is a byword among my acquaintances. China vases wait for me to come by before deciding to explode into smithereens. Doors have a mysterious appetite for my fingers and there has rarely been a projection on a road that has not had the pleasure of tripping me. It seems pretty likely that there was some kind of a mix-up in the assembly department in Heaven while they were making me. I seem to have ended up with two left feet and all thumbs instead of the normal quota of feet and fingers. They seemed to have decided to make an absolute bungler and did a thorough job of it with me as the resultant product. My Guardian Angel has, ever since, been having a tough time getting me out of the various scrapes that I invariably got into. He was a thoroughly conscientious chap, possibly because of remorse. Even with his levels of performance it was a stupendous task to have got me to meet this girl again. A most commendable job! It so happened that a friend of mine was a close friend of hers and, so, we met at his house by sheer happenstance. My friend introduced us to each other. Now was the time for some silver-tongued oratory. Unfortunately, my tongue was engaged in a private discussion with the roof of my mouth and could not be persuaded to indulge in verbal gymnastics. It was obvious that my friend was perplexed. Having been used to my indulgence in verbal diarrhea, he was quite prepared to rescue Shalini (my dream girl!) from my monologue. My uncharacteristic silence caught him flat footed and it was obvious that he was confused. Luckily for him, Shalini did not wait for him to set the conversational ball rolling. After some time, obviously tired of the roof-of-the-mouth’s company, my tongue condescended to fall in with my wishes. After uttering a few select spoonerisms and malapropisms and liberally tasting my foot, it fell silent only when the meeting was adjourned. There is no accounting for tastes. One would have thought that, after the demonstration of gymnastics in the street and the subsequent exhibition of foot-in-the-mouth disease, any intelligent female would have decided that ducking out of my sight is the only courtesy to be displayed. Shalini did appear intelligent otherwise, but for her insane interest in moving with me. Well! If she was bent upon making a fool of herself who was I to complain? Besides, one cannot discount the idea of the conscientious Guardian Angel at work. Then came a month of miracles! One month in which I did not trip a single time on the streets; one month in which no friend had reason to bemoan the untimely demise of his favorite china vase; one month in which doors had turned vegetarian and treated my fingers considerately; one month in which Nature held its breath and waited for the inevitable explosion. And it came! Shalini and I were to dine at a restaurant. I had been postponing this outing, primarily because I had had nightmares of tripping over every table and breaking innumerable glasses that are invariably present in these restaurants with Shalini looking on in horrified wonder. Unfortunately, my scruples about ruining the Insurance company that handled the restaurant’s business was construed by Shalini to be sheer parsimoniousness and, as any knowledgeable person can tell you, more romances are nipped in the bud due to suspicions of parsimony than are ruined by suspected infidelity. So, I had to bow to the inevitable and take her out. Having safely navigated my way through the horrific maze of tables and a forest of glasses inviting me to break them, I comfortably seated myself with a sigh of relief. I excused my Guardian Angel his oversight in allowing me to stub my toe while seating myself. Even an Angel is not perfect! The Customer Service Executive (he was too grand to be a mere waiter) had taken our orders and departed. We were sure of no intrusions on our privacy for the next hour or so after which he would deign to reappear at out table. Much as it has caused irritation to many customers, this practice was well in favor with young lovers desirous of privacy. I had reverted to my usual self after that one initial instance of tongue-tied ness and thus it was that I was expounding at length about the philosophy of life while Shalini warded off boredom by constantly defending herself against the salt and pepper containers that I kept knocking into her face with the extravagant gestures that characterized my conversation. Noticing the signs of irritation in her face despite my preoccupation with the sound of my voice I placed my hands in the safe sanctuary of my knees and wondered miserably about how to make a conversation without making it a monologue. Surely even a temporarily insane Shalini could not withstand the onslaught of words that I invariably unleashed in any company. The haughty Customer Service Executive reappeared in the midst of my misery and deposited our orders on the table with the air of a king showering largesse on his deserving populace. He even went so far as to open the bottle of sauce and place it at Shalini’s disposal. The benevolent beam on his face looked like an avuncular blessing though it may merely have been the anticipation of a large tip that activated the muscles of his face. 1. two steaming plates of noodles. She seemed to neither appreciate the chivalry nor her favorite dish. Apparently the fact that the noodles had gone on to her lap instead of into her mouth made a difference to her appreciation of the dish. Ah! Women are an unfathomable mystery! Shalini rose in anger. Her eyes transfixed me to my chair while she stalked off to the washroom scattering noodles and tomato sauce with gay abandon. The restaurant was convulsed with mirth and the Customer Service Executive appeared in imminent danger of popping off with apoplexy while he walked circles holding his stomach and whooping with laughter. A good time was being had by all while the cause of all this fun writhed in misery. Shalini emerged from the washroom, flicked a contemptuous noodle at me and stalked out of the restaurant. I rose precipitately from my chair, knocking the table down in the process, and ran after her only to be stopped by the iron hand of the Customer Service Executive. Once again in history, Commerce impeded the rash course of youth’s love. Having settled the restaurant’s bill, after discovering that they were un-commercial enough not to have insured themselves against damages, I walked moodily out with a heavy heart and a light purse and slid down the stairs to the pavement. Thoughts of suicide were uppermost on my mind but I could not convince myself that I would succeed any better in this attempt. If I were to try to hang myself, I would only goof up the knot and fall flat on my face. Having done this often enough, while engaged in less dramatic activities, this exercise had lost its novelty. Poisoning would probably result in extensive nausea and an attempt at drowning would only find me trying to do so desperately in two feet of water. The life of a bungler is certainly hard because life is hardly worth living and dying was an act beyond his limited capabilities. Thus walking dejectedly I raised my head to see Shalini coming back. Was that a smile on her face? I ran towards her, tripped over a sleeping dog, executed a perfect double somersault and fell flat on my face on the pavement. 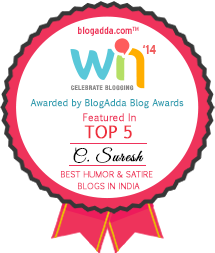 Anupam Patra is another of my dear friends from Blogosphere who has found me worthy of an award – the Liebster award. Since this one is to be awarded to a blogger with less than 200 followers, among other qualifications like doing a good job of blogging, I found that I satisfied at least one criterion – having only 35 followers. When I mentioned this on Anupam’s post, he calls me ‘humble and detached’! Humble? Someone is reputed to have said “That man has much to be humble about!” about a man with a reputation for humility. That description suits me like it was made-to-order. As for my detachment, Anupam would have had to revise his opinion in a hurry if he had seen me doing cartwheels and go singing all over the house after reading his mail conferring the award on me. This one has one more layer of complexity. I have also to post eleven facts about myself. Mmm! Leading a totally uninteresting life makes it difficult for one to talk of himself and expect to hold the reader’s attention. But then, when have I ever held it that I should worry about doing it now? So, here goes. 1. Brought up in Neyveli as a kid. 3. Worked in Delhi for IFFCO in the area of fertilizer subsidies. 5. Retired early because of congenital inability to stand working. 6. Trekker – desultorily these days. Always knew that writing CVs would come in handy one day! Giving me a job anyone? One with lots of pay and no work! I dream of it, all right! Get me an interested Publisher and I shall plan on it as well. If loved one means ‘significant other’, I do not have one to gift to. If it is just someone I love, then I’d rather have my sis buy the present. If I make it or buy it myself, I am certain to have one lesser person to love after that. There is always something to enjoy in life – no matter the circumstances. Never! I hear that they get up at unearthly hours and they have to be disciplined. My worst nightmares, both of them! I am never afraid of the stage as long as I do not have to get up on it. When I do, it is more like stage panic. What about Tom and Jerry? Now for the unfortunates, who are expected to tell 11 facts about themselves, nominate 11 bloggers, inform them of the peril to come and ask them 11 questions – all because they had the misfortune to impress me and did not get 200 followers so that they could escape the ordeal. Here come the eleven questions. Since I have taken great care to select 11 people who are not in the list of those I tagged, I might as well ask them the same questions. 6. What is most important to you - Values, Relationships or Money & Fame? 7. Which do you prefer - a peaceful life or a life of passion and turbulence? Was it only a year back that life had looked so rosy? He had everything then – a loving wife, a son to rejoice in and work that he was passionate about. After a decade of working for others he had embarked on his own venture full of optimism and hopes for tomorrow. It took such a short time for dreams to come crashing down and to lose everything that you had slaved for to get. Rohit looked across at his wife, who was busy managing his fidgety son. She had warned him to close shop and look for a job. Why had he not listened to her then? One year was an eon in his profession. God knows he had tried everything at his disposal to find a job after his venture crashed a month ago. If his wife had not been working, they would have found it difficult to make both ends meet. As it was, they would have to take a drastic cut in their lifestyle. The future he had dreamt of for his son had vanished like a mirage. Rohit looked around. There was the elderly man, who had carried out all his responsibilities and was serenely watching the sunset. The well-to-do slender man in designer shorts with his son was enjoying the beach. He had come over to the beach to escape the stifling feeling of claustrophobia at home. Now, the deepening sunset only highlighted the gloom that had descended on his life. Geeta! The word was a moan of anguish in the depths of his heart. His wife of forty years and the beat of his heart! In the symphony of his life, she had been the basic harmony. Now that she was no more, there was no music in his life or in his heart. Three months! Three long months since she had gone to sleep and never risen again! Three months since he had forgotten to live and merely existed like an automaton. His son and daughter-in-law had resumed their normal lives. They took care of all his bodily needs but it never struck them that he also needed someone who would find the time to talk to him – merely because he was loved and not because it was their duty. When Geeta was around, he had never felt the lack of company. It had not always been so. Their marriage had been an arranged one and their initial days very acrimonious. She had always been feisty and would not knuckle down to social conventions. But, how compassionate, how caring! It was the basic generosity of her heart that broke through his conventional expectations and he found himself, almost unwillingly, head over heels in love with her. Loneliness had merely been a word to him since then and not the bone-chilling, soul-sapping reality that it was now. Now, she was gone. Forever! That word rang with hollow hopelessness and opened up a vista of endless gloom in front of his unseeing eyes. A gloom as deep as the one presaged by the sun setting across the sea! He looked at the family of three sitting together in silent companionship and at the slender man bonding with his son. The gust of bitter envy that shook his being shamed him but the shame could not shake the chill despair rooted in his heart. Tears prickled at the corners of Atul’s eyes. The boy’s high-pitched voice had attracted the attention of the people around him but Atul was oblivious. He looked down at the solemn face of his son. He was so young. His was the age to be running around with exuberance; an age where he should have been with his mom fighting for the TV remote or for time on the PC; an age where sorrow was a loss in a video game or a poor test performance and everything else was ecstasy; not the age to be talking solemnly about death. “Cancer is curable, Vinay!” the words came out strangled by the lump in his throat that threatened to suffocate him. The thought of losing his son almost unmoored his reason. This was the child, whose smile had filled his heart with unbearable joy as a babe-in-arms; the child whose first steps had made him prouder than when he had made his first million; the boy who could break a priceless vase and blow away his anger with a woebegone look and a whispered ‘Sorry’; the boy whose unexpected embraces and happy smiles made all his other achievements pale to insignificance. Was it just a shade more than two years ago that Vinay had been a mischievous boy, who could hardly stay still for a second? Every day when he had returned exhausted from work it had taken him barely fifteen minutes with Vinay to feel like he was brimming with energy. The lovingly drawn pictures that Vinay presented to him for his birthdays; the infectious laughter; the merry romping on the bed and the silent loving hugs – all would be gone, drowned in a raging torrent of cancerous cells coursing through Vinay’s blood. Tears sprang unbidden again. So young, so young! Was this the time for a boy to be whimpering with pain as chemicals dug with sharp knives inside his body? He could not bear to remember the sobs from Vinay’s room, muffled because Vinay had not wanted to distress his parents. He thought of his wife, devastated with grief, when the doctors had given scant hope of a cure. They should not be here on the beach today. Vinay was susceptible to infection and he had refused the boy when he first made the request. The disappointment on Vinay’s face tore at his heart and, when Vinay closed up over the next few days, he had given in. God! 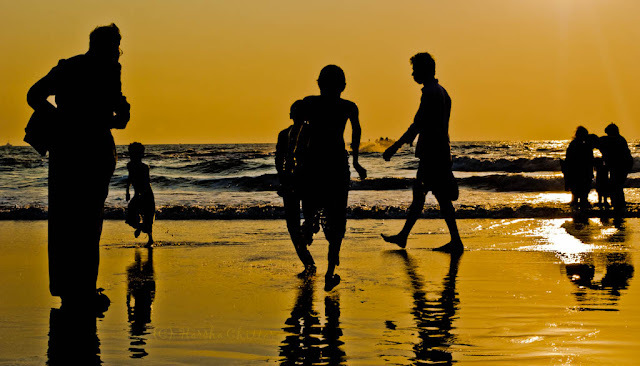 With all his wealth, he could not even readily give his son the simple pleasure of playing on the beach! Atul found his tears flowing out unbidden. Atul was ashamed. Why was he ruining his son’s days with his distress? Yes, he may have only a few days left but they did have those few days! When his son wanted to take as much joy as he could out of his life, why could he not enjoy those days with his son? The old man was jolted. What was he doing, moping around for his lost yesterdays? He had had a wonderful life with a wonderful woman and, instead of celebrating it, he was tainting her memory with bitterness. His son and daughter-in-law still cared for him but they had their own lives to lead. Why could he not enjoy the time that they could give him instead of bemoaning the fact that they could not give time when he needed it? Yesterday was gone and what he had rejoiced in yesterday was no more. But, today and tomorrow would bring their own joys - if he was open to them - instead of enshrouding himself in bitter grief. The boy was right. Today the dusk was indeed beautiful! Rohit looked across to his wife. Her eyes were brimming with tears as, indeed, were his own. Life recently had been acrimonious between them but for this moment they were in accord in their sympathy for the boy. What were they fighting for, anyway? As far as he could recollect, even in the bitterest of their fights, she had never once blamed him for stubbornly sticking on with his venture. Nor had she verbally belittled him for being dependent on her currently. Was his fear of his tomorrows – the thought of never finding a job and being a hanger-on – embittering him? Was he taking his wife’s every little act and converting it into an unstated insult? He had a caring wife and was he jeopardizing both his and her happiness today out of the inchoate fear of tomorrow? Tears fell unhindered from her eyes as she snuggled close to him. They looked out at the beach. Two boys ran towards the water shouting in glee. Vinay looked at his dad enquiringly. “Go ahead, Vinay!” said Atul. Vinay jumped to his feet. He turned to his Dad. “Coming?” he said with a trace of his old mischief in his eyes. It seemed as though he had invited everyone. The old man found himself on his feet. Rohit’s son had taken off towards the water in his own direction. Rohit and his wife rushed after him. Atul got to his feet. His heart seemed lighter than before. A dying child had taught them all how to live! Yes, today, the dusk was indeed very beautiful! The fellow Blog-a-Tonics who took part in this Blog-a-Ton and links to their respective posts can be checked here. To be part of the next edition, visit and start following Blog-a-Ton. I’m thankful to The Fool, who introduced Blog-a-Ton to me, and I debuted in 27 edition. I have been tagged! For what, I have not been told by Jayashree Srivatsan, who tagged me but she is a kindly soul – at least to me – and I suppose it must be for something good. I have always enjoyed her writing and she has been kind enough to praise my posts (and, more importantly, refrained from negative criticism, which must have been warranted often enough). Kindly soul, did I say? Maybe not entirely, considering that she has saddled me with the job of (a) Answering her questions – relatively easy (b) tagging 11 bloggers – very difficult as I found out since most of the bloggers I know have already been tagged or are averse to tagging and (c) Asking them 11 questions – the most difficult. I never was a good interviewer! 1. Link back the blogger who tagged you. 2. You must post the rules. 3. Answer the questions given by the person tagged you. 4. Tag eleven new bloggers. 5. Set eleven new questions for the bloggers tagged by you. 1) Is there any specific time of the day that you set aside for blogging? Not at all! Since I wake up as I please and sleep when the mood takes me, it is impossible for me to fix up any specific time for blogging. Besides, if I did set any such time, blogging would seem too much like work and I hate working! Ah! I live to eat when someone else is doing the cooking. Since most of the time I cook for myself, it is too much work to cook a spread in order to ‘live to eat’. So, when I cook, I ‘eat to live’! I am more of a book person. Movies…Hmmmm! Maybe that series of movies that K.Balachander directed with Nagesh as the central hero; ‘Kadhalikka Neramillai’ by Sridhar; some Amol Palekar movies. 4) Which is the best place you have been to on vacation? There was this trek in the Zanskar Valley in Ladakh. The views there were out of the world! 5) If you are given an option of eradicating any one social evil in India which one would you pick and why? Maybe the ‘Someone should do something about it” attitude? If once we take the responsibility of doing something about whatever our pet social evil is, it would help eradicate/mitigate all of them. I love all my bad habits too much! 7) What’s your favorite cuisine and food items? I have tried to open my taste buds to other cuisine but have hitherto lost the battle either to my tongue or my stomach – one or the other of which chooses to rebel. 9) What was the scariest experience you had in life so far? Other than this one? Well! I was bicycling to college and a huge truck was overtaking me. This was one of those roads where the road ended half a foot higher than the adjacent ground, so I was carefully riding on the three-inch wide strip left for my use by the truck. There is this guy in the tea shop who rushes out in front of me with a purpose to make me fall, as it appeared (What else could he do with the truck blocking his path across the road?) I hit him, the cycle slid off the road and I fell, hit my shoulder on the side of the truck and then fell down. The massive rear wheels of the truck passed half-an-inch in front of my eyes. Had luck not favored me, my brains would have been a thin paste spread on the road to Chidambaram. 10) When you are extremely confused about some decision what do you do? Confusion about a decision can happen either because (a) you lack the facts or (b) you have to choose between two (or more) equally desirable options. The latter has, as yet, not happened to me and, thus, I seek facts when I am unable to make a decision. I have made decisions with incomplete facts, as becomes necessary sometimes, but then I go with my best judgment and stop worrying about it. 11) Which is your most favourite genre in blogging ? On to the next section of bloggers I'd like to tag. I have tried to avoid tagging people who have already been tagged but I do not think that I have succeeded in any great degree. The process of so avoiding has ensured that quite a few bloggers, whom I consider friends, are not in the list. Now, I have established my credentials as a serious thinker - with a capital T - it is all over to you.